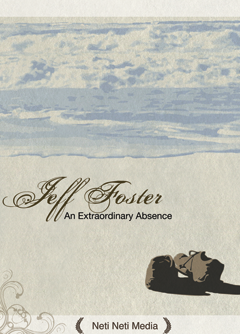 In an intimate series of interviews filmed exclusively for this DVD, Jeff Foster shares the timeless message of non-separation in a simple, human and down-to-earth way. He invites you to forget everything you know, everything you’ve ever been taught, everything you’ve ever read about ‘spiritual awakening’, ‘Oneness’, ‘enlightenment’, ‘nonduality’ and ‘Advaita’, and to consider a new possibility: the possibility of absolute freedom, right now, right here in the midst of this very ordinary life. The possibility that you were never for one moment separate from life, and that at the heart of experience there is an intimacy beyond words. Jeff is not affiliated with any spiritual path, teacher, tradition or lineage. He sees that truth - that which is present and alive - is absolutely free and cannot be captured by any religion, ideology, philosophy or belief system. However, perhaps it can be shared, in friendship and openness, with those who are ready to go beyond their ideas, concepts and beliefs, and discover who they really are.